There's a new colour range out from Magic Colors, and this one is 100% Natural! Awesome! I gave them a LIVE test run in the Buttercream Lounge, so head on over if you want to see them in action. In the mean time, get my wrap up of how they handled right here! According to the box, these Natural Gel food colours are 100% natural, Kosher, and Vegan Friendly. So that's pretty rad. They are also free of preservatives, which is why they must be refrigerated after opening. They have an unopened shelf life of about 2 years though, so they will keep well until you open them. Is the short opened shelf life a problem? Not really, the manufacturer says use within 45 days, which if you make cakes for a living will go pretty quick, and if you need them for allergy reasons, I would imagine having something safe to use would enough for most people. Something else worth noting, is the difference in thickness between colours. you had to get a run up to squeeze the Lavender out, yet the Yellow and Blue practically fell out. This is a feature of natural colours, as the viscosity will depend on what the colour in made from. They are designed for colouring icings and fondant, not for baking, so of course I baked them. Despite not being their intended purpose, they still held up pretty well, more so darker colours, rather than subtle shades. As the colours are natural, you tend to need more to get a vibrant result, compared to artificial colours. As for how they went in Buttercream, just like in cake batter, the result was less vibrant than you would expect using the same amount as artificial colours, with the exception of the Yellow food gel (top right), which was exceedingly bright! We mixed some extra neutral buttercream, and some of the Orange colour, to get some really pleasing shades of Yellow. Full strength orange can be seen bottom right. The Terra Red, while not really 'Red', is the perfect shade of Maroon, and basically a perfect match for my signature Red Roses, and straight outta the bottle. I would definitely buy the Terra Red again, no question. 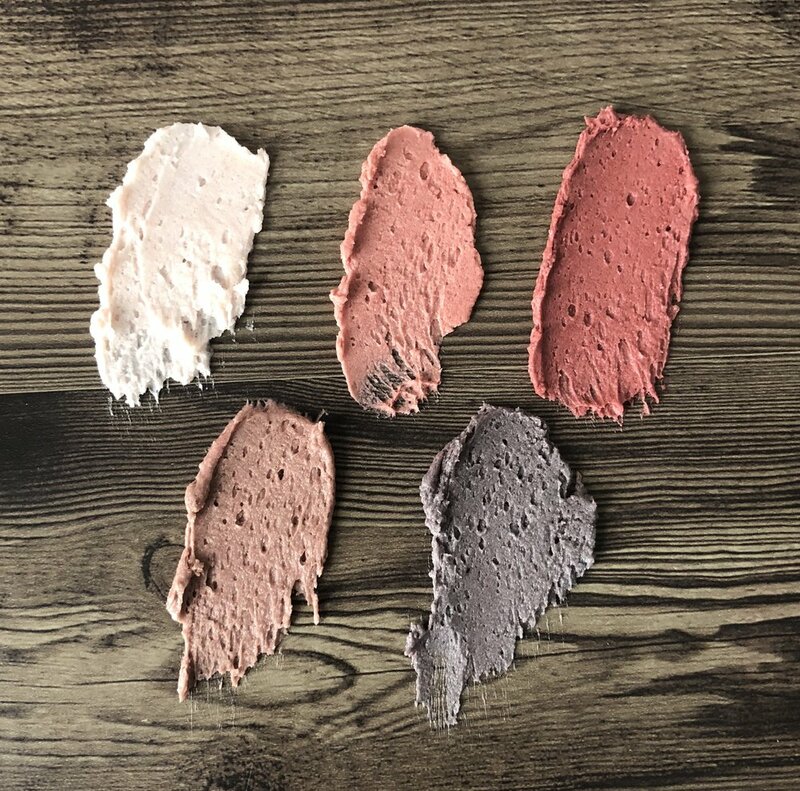 We did the same as we did with the Yellow, and mixed some neutral Buttercream, as well as some of the other shades, to see what colours we got. We got two really nice shades of Brown, although Magic Colours does make a Natural brown as well. You can also see the Black in the bottom right, which sadly didn't darken very much, I would say it got as far as a dark slate colour. It still pulled up ok in the cake as well, but I wouldn't call it 'Black'. To get a true black, I would start with chocolate Buttercream, as the addition of the Cocoa Powder would enhance the black, and you would get a much better result. The blue was another favourite, providing a really lovely Delphinium Blue. Again not hugely vibrant, but a really lovely shade in any concentration. The Lavender was more Mulberry in my opinion, which while it was a nice colour, it wasn't what I expected (top right). This really is the crux of Natural food colours in general, they have so much going for them, but consistency of colour is really something that artificial colours will always have over them. The green was also a nice leaf green, which toned down nicely into a more antique green with the addition of a little blue. If you have allergies to artificial colours, definitely. If you are conscious about adding lots of artificial colours to your cakes, yes. If you want consistent, vibrant colours, artificial colours are really better in that instance. You could certainly use a combination of both, maybe natural colours for most of the cake, and artificial Purple say, for the flowers. I really liked these colours, especially the Terra Red and the Blue, which I would buy again, but for consistency in colour, I would prefer to work with artificial colours. Magic Colours also had an artificial range, which I tested at the International Cake Show Australia in May, and they handled perfectly.